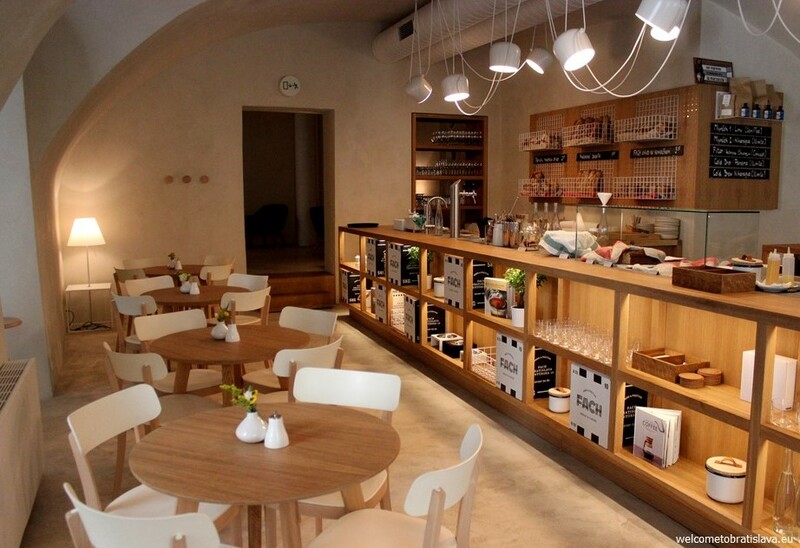 Brunch as a concept is starting to take off in Bratislava and we are thrilled. Perfect for weekends when sleeping in is a given and battling slight hangover is quite likely, the magical afternoon meal that is Brunch can now be found at a few key places around town. 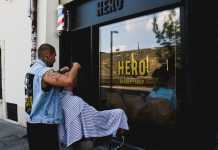 We expect the trend to continue, with more restaurants and cafes serving up sweet and savory dishes and boozy morning drinks on the weekend. 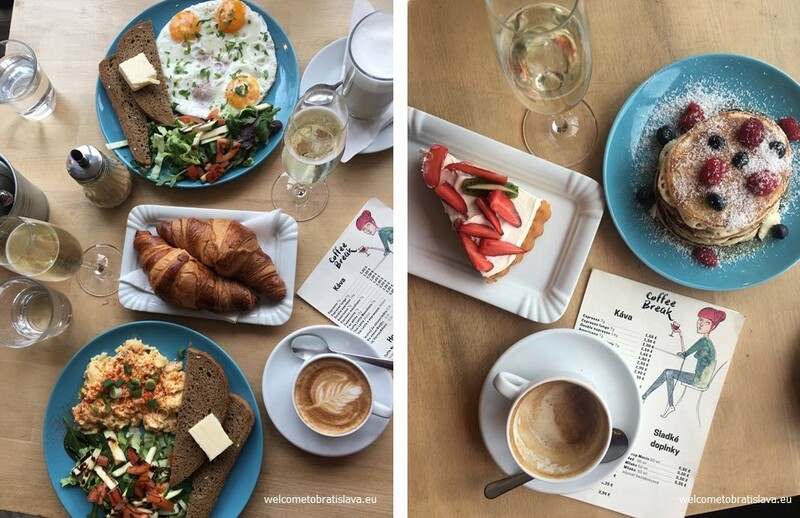 Here are four best brunch places in Bratislava to try now. 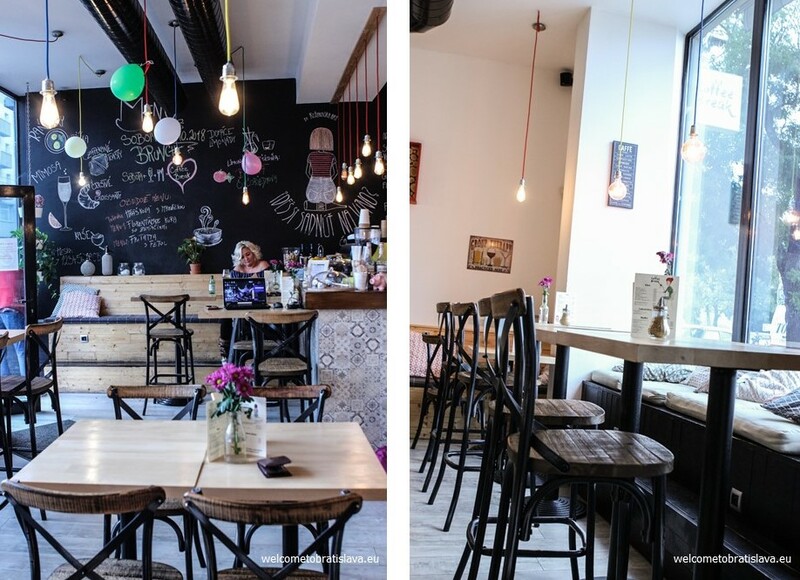 Coffee Break is a darling cafe in Ružinov you should be visiting! 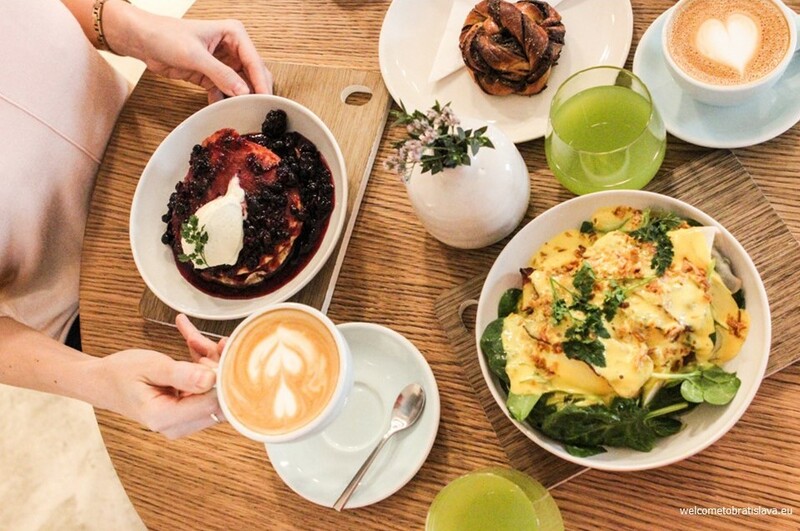 Already known for their selection of coffee drinks and wines – the owner is a sommelier and it shows – brunch is now on offer and it is worth your afternoon to check it out. Every other Saturday the doors open for a selection of breakfast menus at an incredibly reasonable price. After being seated, your amiable server will offer you a selection of items included in the brunch – this is written on the chalkboard, as well. After the difficult choice of starting with prosecco or a mimosa (life is hard, we know) pick coffee or tea, your main breakfast entree, and which dessert to end the meal with. You also get a complemtory baked good with your meal – one visit this was delicate croissants and another it was teeny tiny cupcakes! All this will only run you 10 eur per person, a total steal in our opinion. It’s an adorable place, but petite, so space can be limited. That didn’t stop lively groups from reserving a few tables pushed together during our visits, though. Coffee Break is a perfect spot for meeting up with your crew the morning after partying and pretty enough inside to host an insta-worthy daytime get-together with your most photogenic friends. This isn’t fancy dining and some items are better than others – pancakes are a can’t-miss, scrambled eggs could use some pizzazz – but the complete charm and fantastic service means we will be making future brunch plans here. Be sure to visit their Facebook page for event dates and more! The lately renovated and upgraded Auspic takes their new vibe a step further with thematic brunches! Be it Ladies, Gentlemen’s or Family themed affairs, the menu will be extravagant and served buffet style. 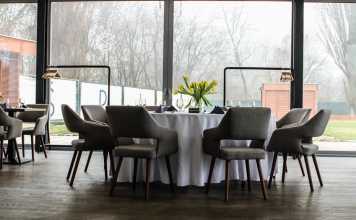 This is the brunch to try for an elegant Sunday afternoon on the river, when high-end scenery and feeling posh is the aim. Our visit was Family Brunch themed and there were plenty of families, even with the more mature menu. Pro tip – if enough families with young children reserve in advance, a professional nanny is hired for the afternoon, activity program in hand, to keep the kiddos occupied and parents free to sip on bubbles. There is always an area for children to play, so regardless you can enjoy your meal with the entire clan. Continuing with themes, we sampled the Slovak-Hungarian cuisine on offer. Make note that while Auspic calls these Sunday events Brunch, not an egg to be found during our visit. Think hearty soups, canapés with traditional Slovak spreads – pomazanky – with plenty of onions and cheese, pillowy dumpling-like parené buchty, Hungarian cabbage and pork segedín, and of course bryndzové halušky plus the obligatory dessert. The banquet-esque style preparation may not wow everyone – we certainly had our favorite dishes and those we would pass on again if given a choice – and die-hard breakfast food devotees might want to make this a second meal. Everyone will love the beautiful Danube view and dining with someone special with a full castle view. You can find us here in warmer months when the dining moves outside to the grass. Their brunches are regularly organized on Sundays, but we still recommend to follow their Facebook page for updates. Why eat near the castle, when you can eat in it – more or less. 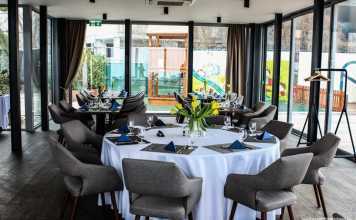 Restaurant Hrad bills its Sunday dining events as “Family brunch” but fear not – you will be plied with complementary prosecco the instant you sit down. The adults only, obviously. Approach the various food stations in courses, if you wish. The impeccable staff keeps the buffet well stocked and it’s fun to help yourself to a three-course meal. Selections can vary from week to week – one favorite during our visit were the tender slices of pink roast beef with dollops of sweet chili sauce. The halušky was a solid choice and we hope to see it on future menus. We never pass up dessert and the selection here is a delight. This is a pricier brunch and if you must prioritize your visit, do so in summer. This might be the most beautiful view of Old Town and if you are lucky there will be live music to serenade you along with the city skyline. Breaking theme slightly is innovative Fach. 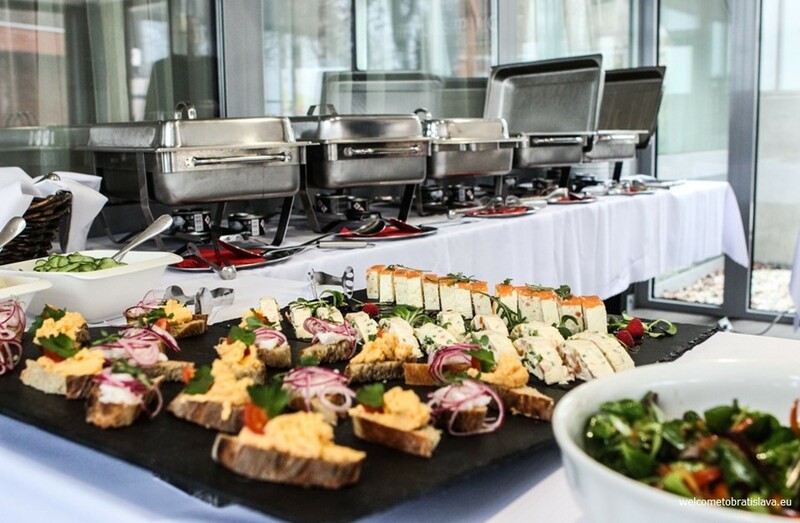 They jettison the weekend only buffet-style, pre-set menu brunch concept for a small offering of dishes (that changes several times a year, so it might happen than you’ll experience different dishes than us) served every day from 8:30 to 14:00. This is not an event to be having only on weekends, but an option for distinctive morning dining served daily. We tend to fawn over the menus at Fach, but our praise is merited. The food is creative and well executed. Presentation is high-end without intimidation. Flavor pairings are calculated. This is cooking that gives the impression it has nothing to prove, so confident it is in its own quality. The brunch menu seems to follow this pattern. We sampled the sourdough pancakes with berries and crème fraîche, which was quite nice if a bit sweet. Though not formally meant for sharing, you may follow our lead and split this dish with your party, so rich it is. The signature poached egg 63°C has found its way onto the brunch menu, this time nested in spinach, bacon, and baked celery and finished with béarnaise sauce. Hints of pear in this dish are a treat; a classic example of Fach’s use of an ingredient we might not pair with eggs in our own kitchen, but we are better off for having experienced. 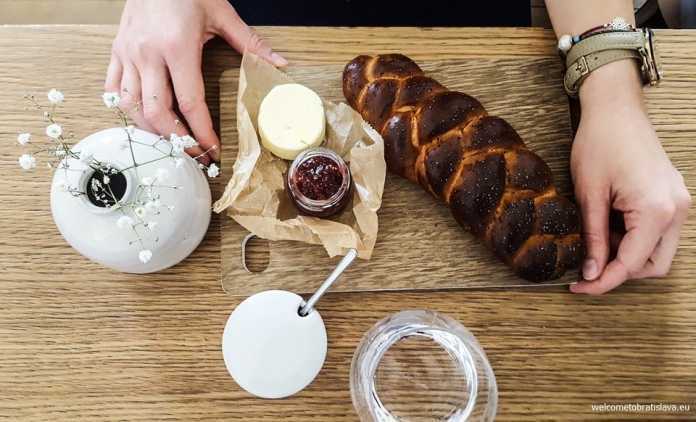 It must be noted Fach has an outstanding bakery – best sourdough in Bratislava – and you can order fresh pastries with your meal. The fresh juices from their adjacent Juice Shop can be had, as well. Or skip the traditional glass of OJ and sip on a mimosa with fresh sea buckthorn juice instead. Tell us about your favorite brunch spots in the city! You might find us there delighting over mimosas and breakfast dessert soon.